Tell me the date you need item by. Your item will arrive on the date you put or a couple days before the date that you put. So please plan accordingly! 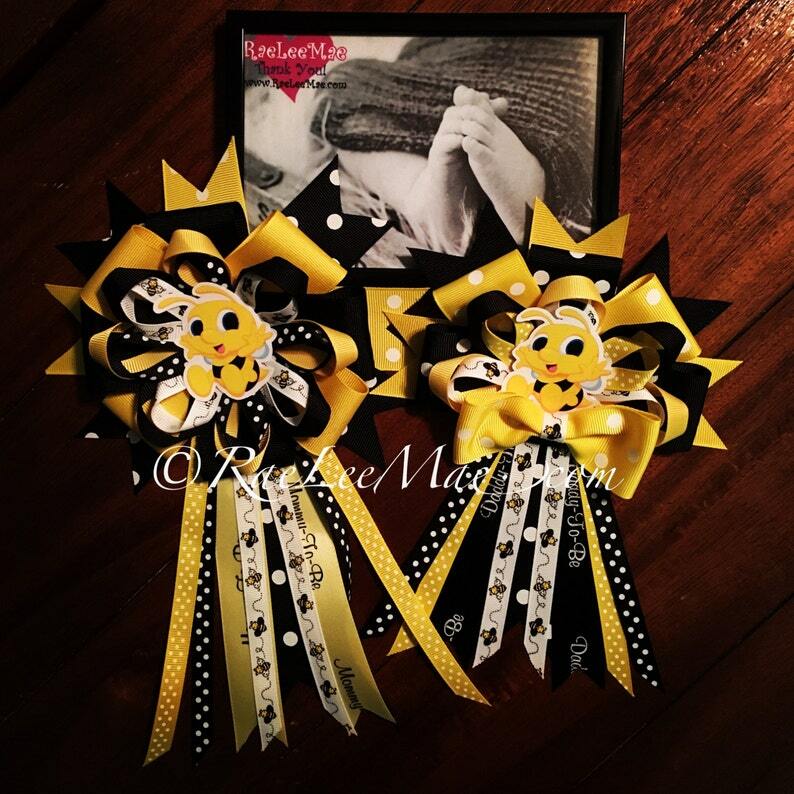 This is for the pair of absolutely adorable baby bee corsages! Mommy-to-be and daddy-to-be will be on my custom created ribbon. Banner, pacifier necklaces and confetti are all sold separately. Please check out my I other listings for prices. Or message me. ***WE ARE NOT RESPONSIBLE FOR ANY DELAYS BECAUSE OF THE SHIPPING COMPANY!! ONCE PACKAGE HAS SHIPPED IT IS OUT OF OUR CONTROL! NO REFUNDS! NO RETURNS! **** We will try to assist as best we can in finding your package. Every package is insured for up to $50. If your package is lost you can opens claim with the post office or carrier that we shipped with. Additional insurance is available upon your request. The fees vary depending on how much insurance and which carrier. They came out amazing, thank you for your time.